This filter replacement kit for the Bissell HEPA Canister Vacuum includes one each of 3 different kind of filters: 1 HEPA exhaust filter, 1 HEPA motor filter, and 1 HEPA filter/collection bag. 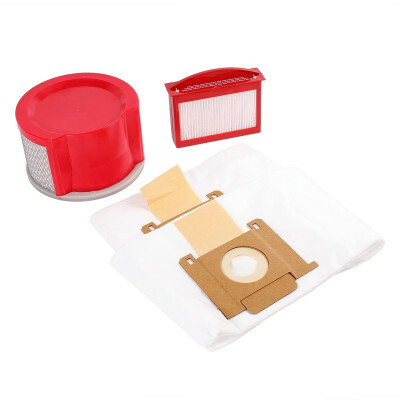 This filter kit is a must have for allergy and asthma sufferers, as it recovers pollen and other allergen causing debris that can drive a home owner mad during allergy season! If you're looking for just the Bissell HEPA filter bags we also sell those in packs of 10. For even more filters that fit different Bissell vacs, please take a look at our full line of vacuum filters. Customers who were interested in the Bissell® Canister Vac HEPA Filter Kit were also interested in the following items. This is a review for the Bissell® Canister Vac HEPA Filter Kit.